$5.95 Tarrant County on-line food handler training and certification. Tarrant County Food Handler Card $5.95. TABC and Food Handler – $15.99 – Click here! 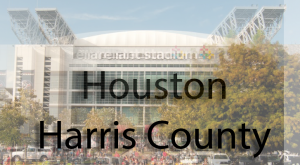 We provide DSHS and Tarrant County approved on-line, on-site, and classroom training. We offer movie based Texas Food Handler Certification in English and Spanish. This Texas Food Handlers Card Safety Course is approved by the Texas Department of State Health Services. Certification is valid for 2 years from the date of course completion. Online Course is approximately 2.0 hour long. Printable Texas food handlers card (certificate), available upon completion. 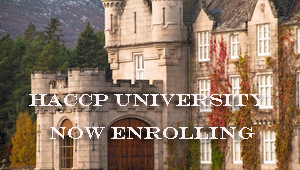 English and Spanish courses available. This course provides information on many topics related to safe food handling. Food Managers are going to have to start enforcing proper hand washing. The most important method in preventing the transmission of food borne or blood borne pathogens, to yourselves or others is proper hand washing! 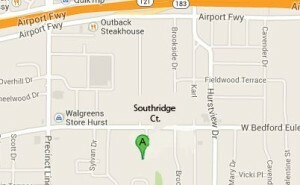 Our Classroom Training location has changed. 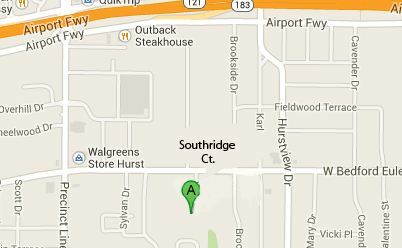 Our Texas Food Handler Training and Certification will now be done at 1237 Southridge Court #100, Hurst, TX See map below. Allow 1.5 hours for class. Certificate will be awarded upon completion. Certificate will be emailed to you and or your employer. If you wish to have a physical copy, bring a thumb drive. No classes are currently scheduled in Hurst. See the information below for downtown City of Fort Worth Health Department training. 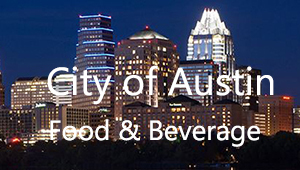 City of Fort Worth Health Department downtown food handler classes. 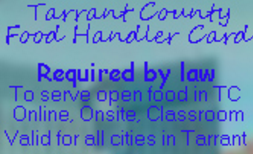 If you are closer to downtown Fort Worth than you are to Hurst, you might consider taking Tarrant County’s food Handler training. Food-handler training classes are conducted at 818 Missouri Ave. Please arrive 30 minutes before class time to register. Attendees must register 30 minutes prior to the beginning of class. Registration ends five minutes prior to class, and there will be no admittance once registration closes. Fee for the class is $16 per person, payable by cash or credit card. No personal checks will be accepted. Class size is limited to 40 people. 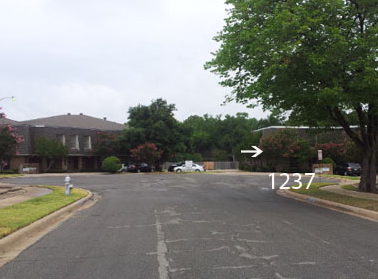 Give us a call: 469-353-0696. 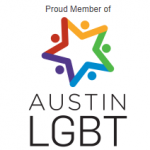 As per Tarrant County’s website: Individuals working with open food must receive basic training in safety measures and the dangers involved with preparing food. Many training courses are available on-line and some certified instructors may provide on-site classes. 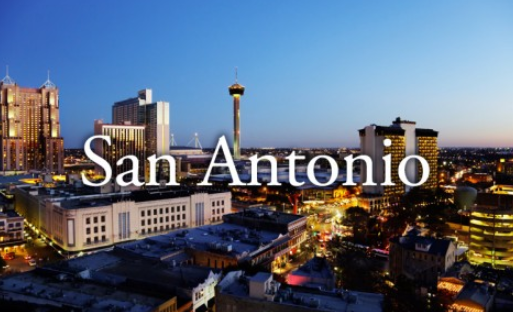 Tarrant County will recognize training from American National Standards Institute (ANSI) or any Texas Department of State Health Services (DSHS) approved trainer (us). Tarrant County Food Handler Card. 5.95.
page last modified March 4, 2019.